The 2013 IHRA Summit Racing Equipment Pro-Am Tour presented by AMSOIL season continues June 14-16 at Memphis International Raceway in Tennessee for an IHRA Wild Card weekend with points on the line for all drivers in all divisions. This incredible facility will host two 1/4 mile races with a test and tune on Friday and qualifying and racing on Saturday and Sunday. All drivers regardless of division can claim an in-division claim at the event meaning major championship implications – and Tournament of Champions seeding – is on the line. WHAT TO EXPECT: The third of four Division 4 double race weekends and IHRA Wild Card weekend will be held at Memphis International Raceway June 14-16. The track will open on Thursday for their weekly test and tune event at 3 p.m. with testing from 6-11 p.m. for $20. IHRA staff will not be on-site for this event. On Friday gates will be open from Noon-11 p.m. for parking and tech will be open from 3-9 p.m. There will be a test and tune from 5-10 p.m. for $40 for those interested in participating. On Saturday gates will open at 7 p.m. and tech will be open at 8 a.m. and will remain open until after the second time trial. Two time trials/qualifying sessions will get underway at 10 a.m. with eliminations immediately following. On Sunday gates will open at 8 a.m. with God Speed chapel service at 8:30 a.m. and one time trial/qualifying session beginning at 9 a.m. followed by the second Pro-Am of the weekend. Run order for the event will be Hot Rod, Stock, Quick Rod, Top Sportsman, Super Rod, Top Dragster, Super Stock, Junior Beginner, Junior Advance and Junior Master. 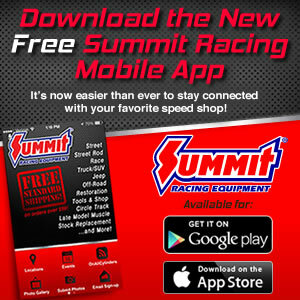 FAST FACTS: The Summit Racing Equipment Pro-Am Tour made its debut at Memphis International Raceway in 2012. Only one driver – Junior Dragster Beginner racer Aaron Jordan – managed to double-up on the weekend…The Memphis Pro-Am, along with Immokalee earlier this year, presents a unique opportunity for IHRA sportsman racers with its Wild Card format. All drivers, regardless of division, can claim an in-division claim at this weekend’s event creating an exciting assortment of racers from several IHRA divisions…The top three in the Summit Pro-Am standings in each division will return to Memphis in October to compete for the Summit Racing Equipment World Finals giving some drivers a chance to see the Tournament of Champions track a few months early. Of the five winners from last year’s Pro-Am to also advance to the Tournament of Champions, three made it into the top seven. The highest finisher at the World Finals to win at Memphis was Max McGlothin who went on to finish third in the world. Stock – Wes Neely & Jimmy Hidalgo Jr.